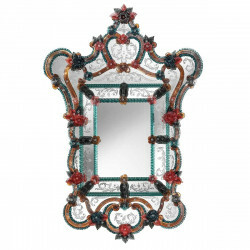 Artisanal Venetian mirror crafted with a modified rectangular frame with light gold accents, clear glass embellishments and Muranese hand engraving on top quality Murano glass. 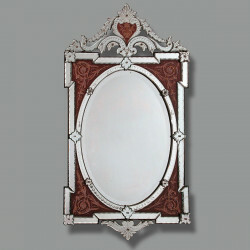 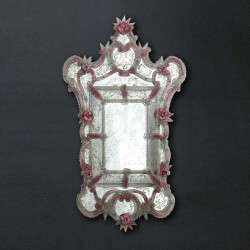 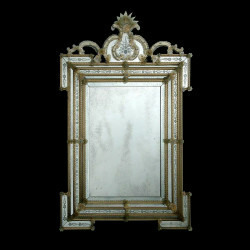 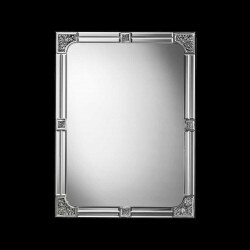 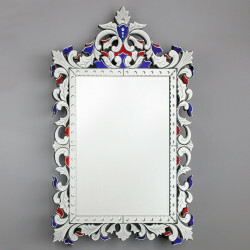 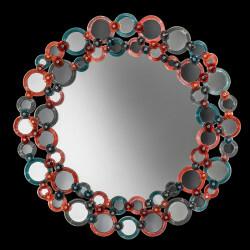 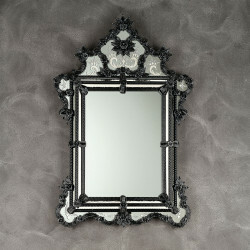 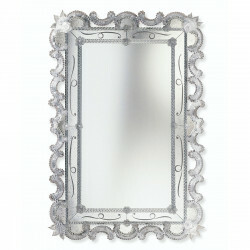 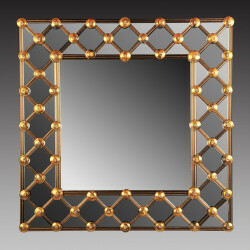 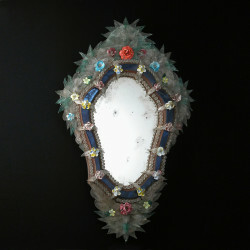 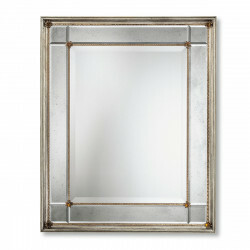 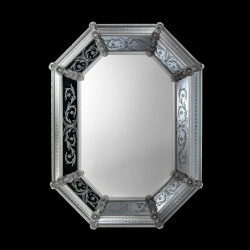 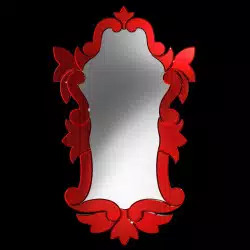 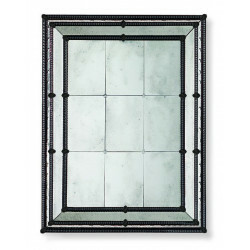 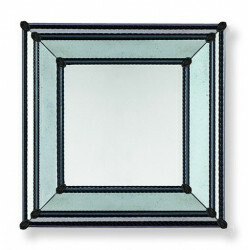 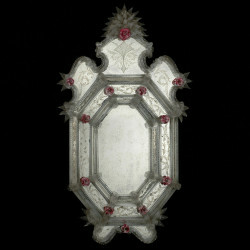 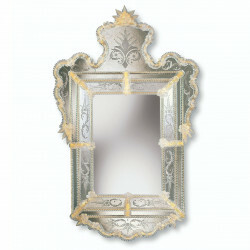 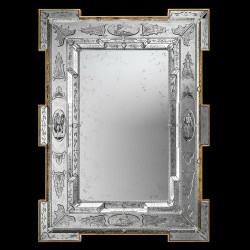 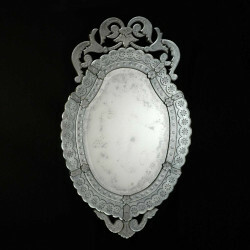 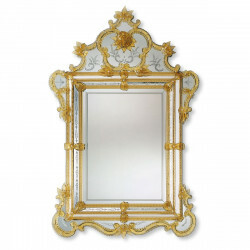 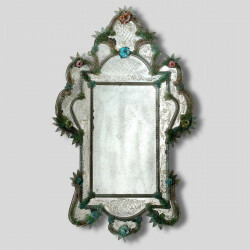 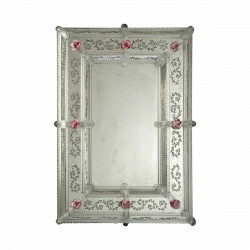 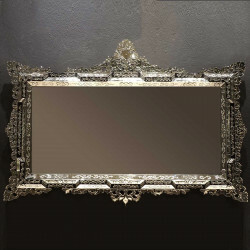 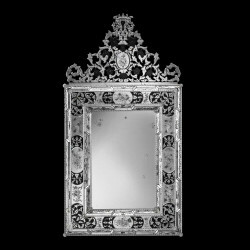 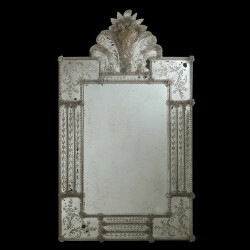 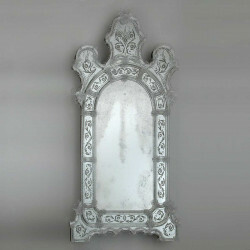 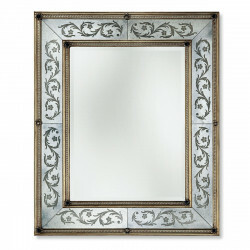 A mirror fit for royalties, this high quality Venetian mirror looks more than fancy with its elaborately designed frame. 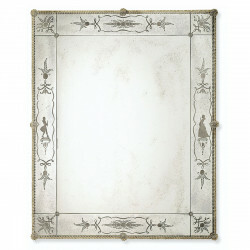 Hand engraved glass has been masterfully cut, and bordered with fancy details on gold and clear glass. 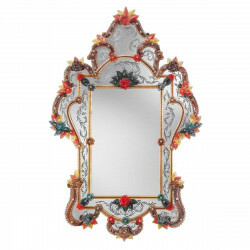 The hand engraving gives an old world appeal while the high quality, authentic Murano glass created to perfection. 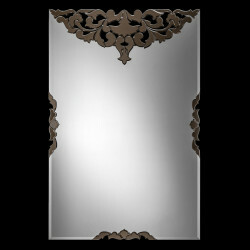 This is a magnificent addition to classically designed walls.